Here’s how to get rid of migraine and be your joyful self again. Each and every one of us has to deal with headaches from time to time. Quite a vast amount of the U.S. population is affected by migraines. Unfortunately, most people turn to nonsteroidal anti-inflammatory drugs straight away. These obvious choices are not necessarily the best solution. We often rely on beta blockers and antidepressants to both treat and prevent headaches. However, there are other, more natural ways, through which you can effectively fight against headaches. We are going to talk more about migraines and try to pinpoint the cause of your problem. Ultimately, we will provide you with advice on how to get rid of migraine with the help of a few non-medicinal alternatives. Migraine is a term used to describe an inherent tendency to develop headaches with sensory disturbance. It is a complex condition that comes with a wide variety of symptoms. 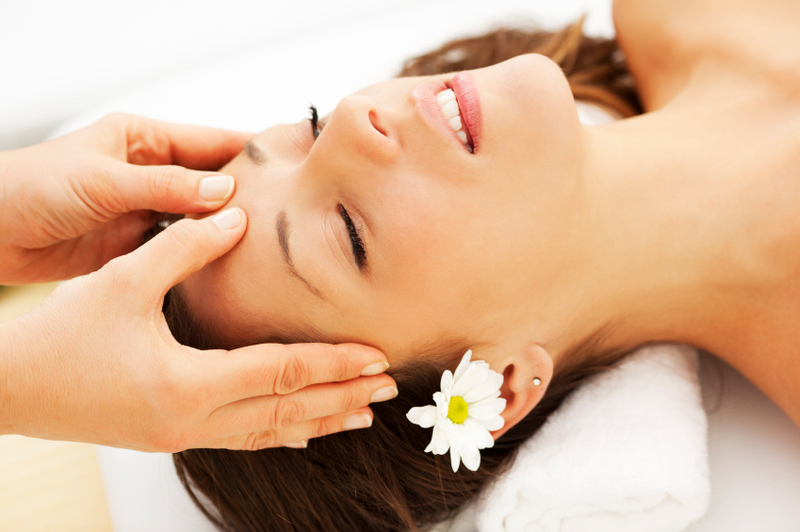 Most of the people suffer from a painful headache, which is the main feature of the condition. Many individuals have such powerful migraine attacks that will result in them having to lie down for hours. Migraine attacks can last about 4 hours but could very well expand up to 72 hours. The attacks vary in length of time and frequency from person to person. These fearful headaches can begin in childhood, and people of all ages can suffer from them. According to the Migraine Research Foundation, women are three times more likely to experience migraines than men. The symptoms of a migraine may appear one to two days before the attack. The symptoms associated with the prodrome stage include food cravings, frequent yawning, irritability, fatigue, depression, hyperactivity, or neck stiffness. Some people may also experience a migraine with aura, which is a term attributed to sensory disturbances. The symptoms include difficulty speaking clearly, seeing flashes of light or bright spots, feeling a tingling sensation in the arms or the legs, and transient vision loss. In the attack phase, people report symptoms such as dizziness, faint, nausea, vomiting, pulsing pain, increased sensitivity to light or sound, pain on one side of the head. Severe heat or extreme weather. Drinking alcohol or caffeinated beverages. Aged cheese and salty or processed foods. Certain medicines (nitroglycerin, oral contraceptives). Every so often we deal with headaches simply because we are dehydrated. In this case, you can easily find relief from the pain simply by rehydrating your system. When the first sign of headache kicks in, drink a glass of water. Afterward, continue to take small sips throughout the whole day. Sports drinks are also an excellent remedy. The electrolytes in these beverages can actually treat a headache that has been caused by dehydration and tension. But do remember that you must avoid drinking alcohol. It will only further dehydrate your body. Apples help with migraines and headaches by restoring the acid-alkaline balance. This applies to fresh fruits but also to apple cider vinegar. Here’s how to get rid of migraine as you start your day. When you wake up in the morning with a splitting headache, try this following cure. Cut a few slices of apple and sprinkle some salt onto them. Eat them, then take a few sips of warm water. You can also boil water and pour it into a bowl with four tablespoons of apple cider vinegar. With a towel placed over your head, take in the steam for about 10 minutes. Alternatively, add two teaspoons of the vinegar to a glass of water and drink this two or three times a day. Ginger can ease headaches due to its anti-inflammatory properties. It can reduce inflammation, relax the blood vessels in your head, and reduce swelling in the brain. Furthermore, ginger can activate the natural opiates in your brain, thus lessening the pain. All you need to do is start drinking ginger tea as soon as the symptoms start creeping in. Three cups of ginger tea can significantly alleviate your migraine. When experiencing extreme weather such as low temperatures, there are vast chances you may develop a headache. Luckily, there are more things you can do with this common spice than simply using it for cooking. Cinnamon is an effective natural remedy for headaches. Grind the sticks into a powder and add enough water to make a paste. Apply the mixture on your forehead and temples. Go lie in bed for about half an hour to allow it to work its magic. Wash off the paste with lukewarm water and enjoy a less stressful day. Cayenne is well-known in the natural remedies world as a wonder spice for treating pain and inflammation. It is all due to capsaicin, an ingredient that inhibits Substance P which is a neurotransmitter responsible for pain perception. To get rid of a headache, all you need is one-quarter teaspoon of cayenne powder, four ounces of water, and cotton swabs. Mix the cayenne powder with the water, then soak a cotton swab in this solution to stir it. Apply the cotton swab on the inside of each nostril. You will feel a heat that may be unpleasant at first, but it’s only a proof that it is working. Your headache should feel better afterward. If you believe your migraine is caused by stress, heat might be a solution. When applying heat to the back of the neck, the tense muscles relax. Here’s how to get rid of migraine with just some hot water. You can either fill up a water back with hot liquid and apply it to the back of the neck or take a long hot shower. Make sure you direct the water onto the neck. Other options include putting your hands or dipping your feet in bearable hot water for about 15 minutes. Instead of popping pills each time you get a headache, pop a few almonds. See, the drupes contain salicin. This alcoholic β-glucoside that can be found in many popular over-the-counter medicine is also naturally found in almonds. This is why almonds are so great in easing the pain caused by tension-type headaches. When you feel the migraine setting in, start eating a handful of almonds. However, some individuals who suffer from migraines may actually have their symptoms worse with nuts. Be aware of any unwanted changes and stop eating the almonds if you feel they do not help. Thanks to its calming and soothing properties, peppermint has been found to be a key ingredient in treating headaches. Let’s see how to get rid of migraine with the help of this hybrid mint. If you enjoy a cup of tea now and then, then add a teaspoon of dried peppermint to your herbal tea next time. Cover the cup of tea and let it steep for about ten minutes. Add some honey for sweetness and sip it slowly. Additionally, you can also purchase peppermint oil and massage not only the temples but also the jaw and the back of the neck. You should be feeling an instant pain relief. You can also go with a peppermint steam that can also ease the accompanying symptoms (nausea and vomiting), not only the pain caused by a migraine. Wondering how to get rid of migraine on the long term? A small study has shown that weekly massage sessions can lower the frequency of the migraines and lead to better sleep. The research revealed that massage participants displayed both improved migraine frequency and better sleep quality during the interventions and the three follow-up weeks. A massage can also offer temporary relief. When you start feeling the pain, rub your temples. Additionally, ask a friend or family member to massage your shoulders, head, neck, and back as well. According to a small study on the effectiveness of yoga in treating migraine, yoga can reduce the migraine headache frequency. This group of physical, mental, and spiritual exercises or disciplines can actually balance your body, mind, and spirit, and ameliorate or cure various conditions. In the study, several migraine sufferers had been assigned to yoga therapy over a period of three months. The study not only demonstrated a notable reduction in the frequency of the headaches but also less painful attacks and less anxiety. Migraine headaches can cause major complications. These occur both from the pain itself but also from the medications you might take to help with the accompanying symptoms. Always consult with a physician before taking any pharmaceutical drug. If you have also tried alternative remedies but you keep getting frequent headaches, schedule an appointment with your doctor for a treatment plan.